Welcome to our range of Clamber Stacks. Clamber Stacks are popular because they pack an awful lot of play into a relatively compact space. 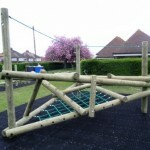 In addition, they are excellent for assisting with physical, social and creative development. 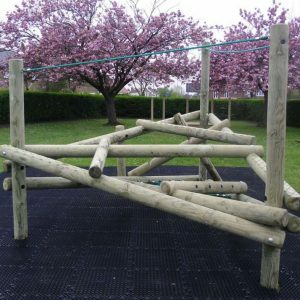 With these structures, children can improve their balance, co-ordination and strength. 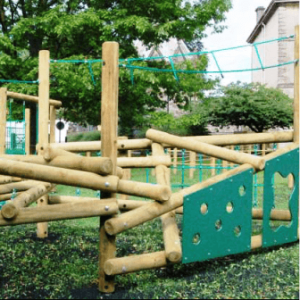 They can also let their imagination run wild and because they are multi-user, Clamber Stacks help to promote social skills. We offer a comprehensive range, from the smallest footprint right up to complex systems with Towers, Slides and Rock Walls. 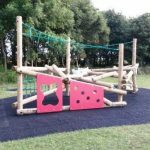 So if you can't see what you need or would like to discuss your particular requirements then please do not hesitate to contact us. Our delivery and installation charges for commercial systems depend on size and location so please contact us for a quotation. 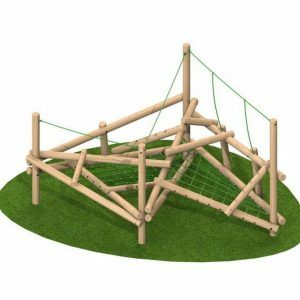 New from Just Outdoor Toys using both Timber and Rope, the Clamber Stack has been innovatively designed to replicate a natural, challenging and enjoyable play environment. Our Clamber Stack Set 1 comes complete with everything configured as in the pictures. 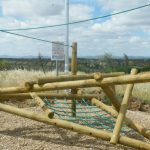 New from Just Outdoor Toys using both Timber and Rope, the Clamber Stack has been innovatively designed to replicate a natural, challenging and enjoyable play environment. Our Clamber Stack Set 2 comes complete with everything configured as in the pictures. Commercial standard Clamber Stack, a combination of timber and rope provides a challenging piece of play equipment with a free fall height of 1.5m. Clamber Stack Set 3 comes complete with everything shown in the picture.